Tour is taking place over three weeks. Volvo is offering Game of Thrones fans the chance to sit on the "iron throne" featured in the TV series. 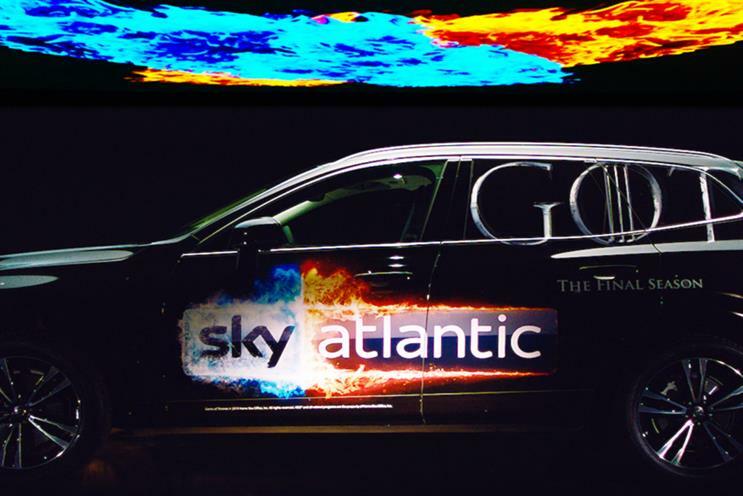 In partnership with Sky Atlantic, the "7 kingdoms tour" activation, which broadcasts the show in the UK, features a convoy of seven branded Volvo cars transporting the throne to seven cities across the UK and Ireland. Each vehicle is designed to represent a different kingdom of Westeros, one of the continents in the series. The throne and the lead car will be positioned in high-footfall locations for two days per city, offering fans the opportunity to be pictured on the story's seat of power. The tour kicked off in Dublin on 3 April and will run until 27 April, visiting London King's Cross during the show’s premiere on 16 April. The deal was developed by Sky Media, Sky Atlantic and Mindshare.